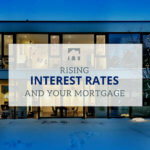 Looking for a Private Mortgage in Toronto or the GTA? Most people have heard of private mortgage lenders, but don’t really know what they are, or how they work. Private mortgage loans can be a viable, alternate financing source for borrowers, and are typically a high-return investment opportunity for investors. Since most banks and institutional lenders need to meet strict lending rules, they’re usually unable to stray very far from the norm. However, with Ross Taylor & Associates, you can get access to a wide-selection of vetted private lenders willing to take the risk on your private mortgage loan where others might not be. Keep in mind, private mortgages aren’t just for larger life happens, but also a good option if your first mortgage pre-payment penalty is simply too high to consider re-financing your first mortgage. Whether you’re a foreign investor, a non-resident of Canada, dealing with a credit challenge or simply looking for some short-term financing that has no penalties – we can help! With Ross Taylor & Associates, we go through all your private mortgage options, while providing you with years of insight and expertise to help you find exactly what you’re looking for. If you’re interested in purchasing raw land or a unique property that traditional lenders won’t touch – a private mortgage lender make sense. To find out if a private mortgage is the way to go, contact us today! We have access to many private mortgage lenders with potential funding available now.